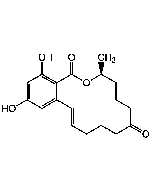 Human chorionic gonadotropin (hCG) is a peptide hormone produced in pregnancy. Its role is to prevent the disintegration of the corpus luteum of the ovary, thereby to maintain progesterone production that is critical for a pregnancy. hCG is a heterodimeric glycoprotein hormone of placental origin, composed of 237 amino acids, with a molecular mass of 36.7 kD. hCG consists of noncovalently associated α and β subunits. The peptide moiety of the α subunit is common to the pituitary glycoprotein hormones, luteinizing hormone (LH), follicle stimulating hormone (FSH), and thyroid stimulating hormone (TSH), whereas the β subunit is specific to each particular hormone. Early pregnancy testing, in general, is based on the detection or measurement of β-hCG. Because β-hCG is produced also by some kinds of tumor including choriocarcinoma, germ cell tumors, teratoma, β-hCG is an important tumor marker. hCG has been identified by immunohistochemical methods in prostate, bladder, testicular, colorectal, ovarian, and other cancers. Stimulates the ovaries to synthesize the steroids that are essential for the maintenance of pregnancy.